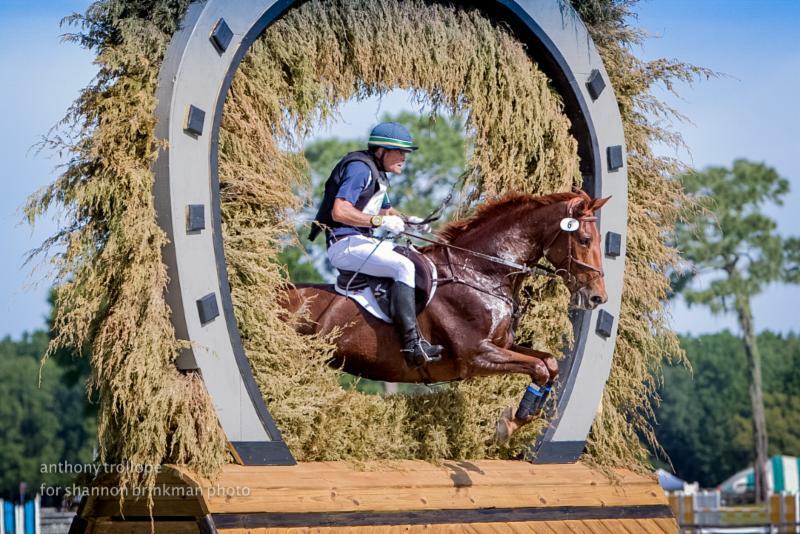 Canadian Eventing riders took the competition by storm at the Ocala Horse Properties International Festival of Eventing, held April 8-12 in Ocala, Fla.
Kyle Carter, a Canadian Olympian who grew up in Calgary, Alta. and currently resides in Sparr, Fla., put in a spectacular performance in the CCI2* division, which acted as a qualifier for the Toronto 2015 Pan American Games. His partner was FR’s Trust Fund (Ringfort’s Tinkatoo x Head of the River), a nine-year-old Dutch Warmblood-Thoroughbred cross gelding he co-owns with Jennifer and Riley Carter. A dressage score of 40.30 penalties had the duo in second place, before a clear cross country phase catapulted them into the lead. However, an unlucky rail for four jumping faults in the final show jumping phase brought their final score to 44.30-less than three points off the winning score-for their final placing of third. Not far behind Carter in fifth place was Karl Slezak of Tottenham, Ont. Riding Fernhill Dutch Design (Vaillant x Triton), a seven-year-old Dutch Warmblood gelding he co-owns with Kirk Hoppner, Slezak was able to finish on his dressage score of 46.90 after a clear performance in both the cross country and show jumping phases. Jessica Phoenix from Cannington, Ont., also placed well in the CCI2*. Riding Abbey GS (Heling x Marchensten), a 14-year-old Trakehner mare owned by Charlotte Schickedanz, Phoenix also finished on her dressage score of 47.80 penalties for eighth place. Following the Canadian pattern, Lesley Grant-Law, who currently resides in Ocala, Fla. also finished on her dressage score of 48.60 penalties for 10th place with What Law, her 10-year-old Irish Sport Horse gelding sired by Mill Law. Canada was also in the top 10 on the leaderboard in the CCI1* division, with Annick Niemuller of Goodwood, Ont. taking sixth place aboard FE Black Jack (Blackstone x Severus), Karl Niemuller’s seven-year-old German Sport Horse gelding. Incredibly, Niemuller was also able to complete her division on her dressage score of 44.80 penalties. For the full list of results from the Ocala Horse Properties International Festival of Eventing, click here.